CHECKPOINT! 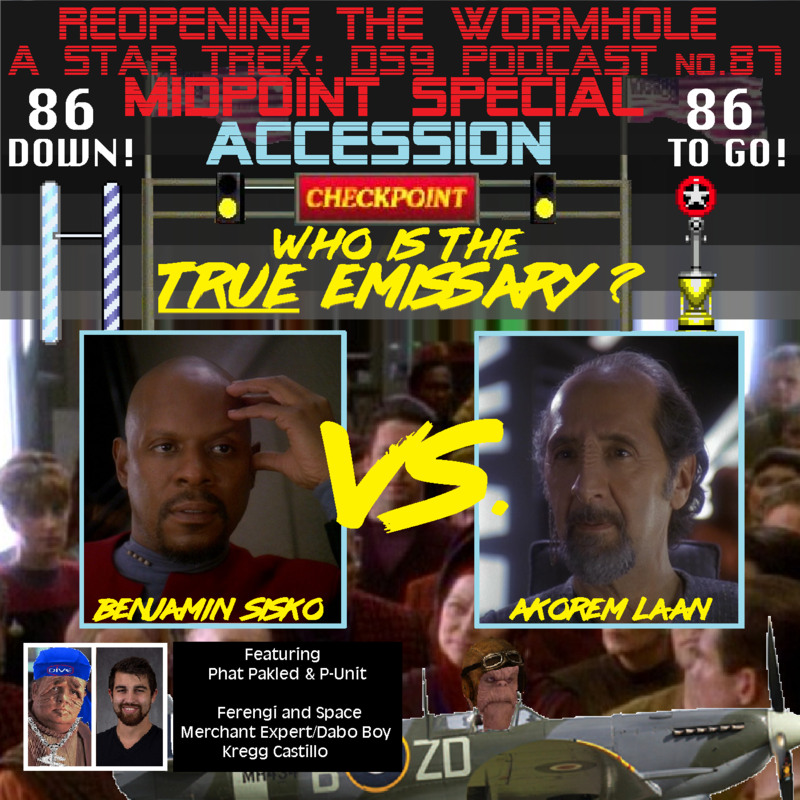 To celebrate Reopening the Wormhole hitting it’s halfway point, we decided to cover Deep Space Nine at its exact midpoint! That means, of course, that we’re talking about d’jarras, Akorem, Bajoran lightships and Sisko’s clock! In other words, ACCESSION. But we’re also pulling out all the stops to celebrate RTW’s journey so far, including a look back at some of our personal favorite moments and episodes and a host of other fun surprises and familiar faces that we wouldn’t dream of spoiling here! Basically, it’s a super-sized love letter to our fans, to Deep Space Nine and, most importantly, to ourselves (we’re nothing if not humble). Truly our episode of Accession is an exercise in excessiveness, and we couldn’t be happier to share it with all of our faithful listeners who have helped us get as far as we have! Here’s to another fantastic 86 episodes to come! So say we all!